In an historic World Cup first, neither the reigning champions or the runners-up from the previous edition have reached Round 16 at South Africa 2010. 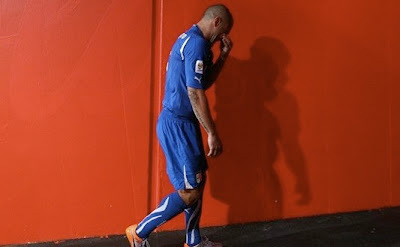 With France having exited on Tuesday, today was the turn of holders Italy to bow out after a dramatic 3-2 defeat by Slovakia. Sadly, the Italian team joined France in packing their bags for home. Ansagay Wins With a Triangle Choke!